Myra Dembrow, "Generation to Generation"
The earliest history of what eventually became today’s Congregation Sons of Israel began in March 1870 when 20 families, mainly German immigrants, established the Jewish Society of Nyack. Perhaps befitting a group whose members were mostly in retail businesses, they met and held services in the back of a tailor shop on Main Street, just west of Franklin. As Nyack grew, so did its Jewish community, and a kahal was incorporated on August 22, 1891, under the name Congregation of Nyack, B’nai Israel. Nine years later, they established a Hebrew school with an initial enrollment of ten students. The congregation rented space, moving from place to place in its early years; in the colder months, they met in members’ homes. Increasingly frustrated by the difficulties achieving comfort in the rented space, the Ladies Hebrew Aid Society, precursor of today’s Sisterhood, established a committee to explore the idea of buying a house of worship. In 1919, the congregation adopted a resolution to do so. On March 2, 1920, the congregation paid $100 to Tunis Depew to acquire a lot on the corner of South Broadway and Hudson Avenue. After four years of fundraising, the cornerstone was laid in 1924 and the synagogue building dedicated on September 13, 1925. 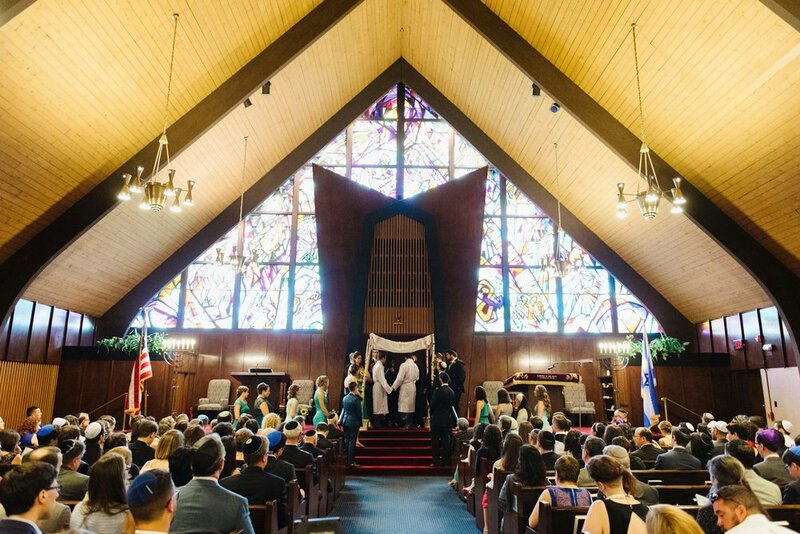 From the beginning, congregants had led services, but by 1920, the congregation hired a part-time rabbi. The dedication of the building also marked the hiring of the first full-time rabbi, Leon S. Lang, for what was then called Temple Israel. He declared that the congregation would adhere to what he called “Traditional Judaism,” a path between Orthodox and Reform Judaism, as well as to “Loyal Americanism.” Earlier that year, however, the congregation had voted to join the United Synagogue of America (now the United Synagogue of Conservative Judaism). Nyack weathered the Depression relatively well, and its Jewish community remained small but vibrant. Daily minyans were held at the Hudson Street synagogue, with Hebrew school classes meeting three times a week. The name Congregation Sons of Israel was adopted in 1936, after an interlude as B’nai Israel, although the cemetery, purchased that same year, was named Temple Israel Memorial Park. During World War II, Congregation Sons of Israel provided hospitality to Jewish soldiers stationed nearby. An Army truck ferried soldiers from Camp Shanks, a last stopping-off point in the United States before being shipped to fight overseas, to Nyack for services and Shabbat and holiday dinners in members’ homes. One intrepid family hosted 30 soldiers, in addition to their other family and guests, at a wartime seder. Nyack—and Rockland County in general—saw great population growth in the postwar years, especially after completion of the Palisades Interstate Parkway and the Tappan Zee Bridge eased the commute to New York City and Westchester. Accordingly, the congregation grew to about 100 families. Dissent grew as well, between those who wanted more liberal services and those who preferred a traditional approach. 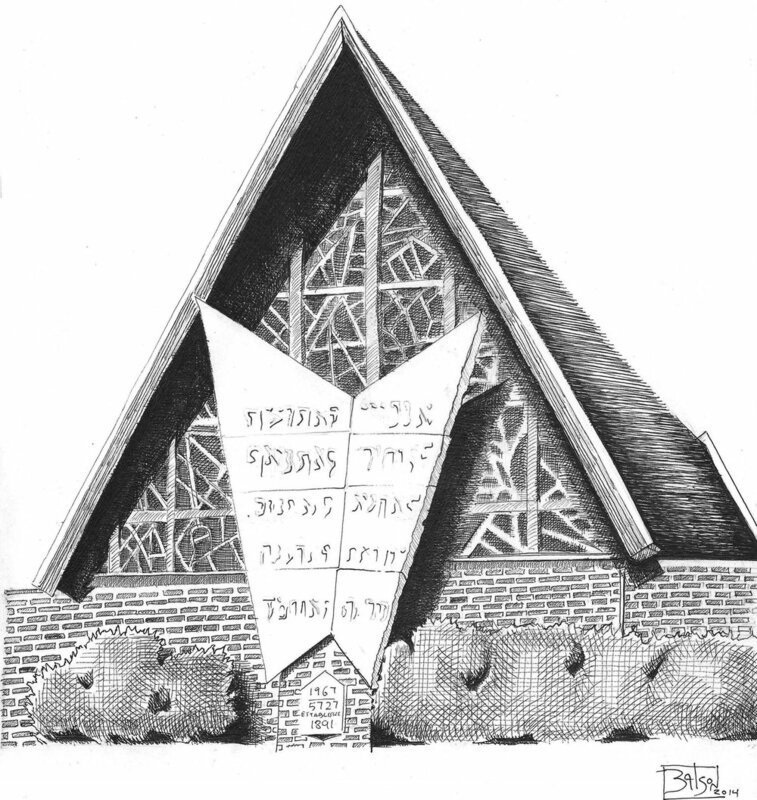 The congregation briefly dropped its Conservative affiliation and joined the Union of American Hebrew Congregations, while still maintaining some standards that most Reform congregations did not then uphold. The kitchen remained kosher, for example, and men were required to cover their heads and wear talitot during services. Membership grew by 30% and Hebrew school enrollment quadrupled, with 134 students enrolled in 1958. By the early 1960s, the Hudson Street building was becoming too small for the congregation. The Depew family declined to sell the contiguous property that would have permitted expanding the structure. A building committee explored available properties (including the land where Temple Beth Torah now stands) before buying its current site, the old Lott estate. The property included an imposing two-story house behind the circa-1860 wrought-iron fence that still borders the front of the lawn. The adjacent carriage house accommodated 6 cars, with a small apartment upstairs for the chauffeur. The congregation bought the property, and debate followed: Renovate the mansion for use as a synagogue or raze it and build anew? The house, which had stood empty for 20 years, was judged too far gone to make restoration financially feasible, so plans began for a new structure. Disagreement about that decision and other internal tensions led to a split. A group of 13 families left to establish Temple Beth Torah. Financial and emotional stress ensued; in at least one family, one brother joined the new congregation and the other stayed with the old—which reaffiliated with the Conservative movement in 1965. The Lott house was demolished that year, and the carriage house turned into a temporary synagogue during construction. The Hudson Street property was sold to the Berea Seventh Day Adventist Church. The current building was dedicated with suitable pomp on September 21, 1967. The happiness of that event and the promise of a fresh start were subsequently overshadowed by a decline in membership and financial difficulties, particularly during the early 1970s. At several points, talk about merging with Temple Beth Torah surfaced, but negotiations always fell through; the necessity of a kosher kitchen was a perennial sticking point. Even while struggling to address the congregation’s financial woes, members introduced cultural, social, and social action programming. The “Chai Society” produced a lecture and entertainment series called “Sundays at Eight.” Congregants produced Braille books for blind Rockland County students and the congregation provided a Hebrew school class for hearing-impaired students. Toward the end of the 1970s, both Nyack itself and the congregation started climbing out of an economic slump. The congregation was growing again. Construction plans for the synagogue had originally included a main wing for the sanctuary and the social hall, with a smaller wing for classrooms and a library-chapel. For budgetary reasons, the school wing was scrapped and the carriage house repurposed as a school building. Even that was not enough space as the school grew, but the congregation was averse to taking on new construction debt, so every available corner—including the rabbi’s office and sometimes even the kitchen—was pressed into service for classes. That continued until the early 1980s, when members Harvey and Adeline Lender memorialized their daughter, tragically killed in a traffic accident at the age of 20, by donating funds toward expanding and renovating the carriage house to better accommodate the school. The Audrey Beth Lender School was dedicated in 1983. The congregation entered another period of growth in the 1980s, with membership increasing to more than 200 families, and a principal was hired for the Hebrew school. To engage post-bar/bat mitzvah students, the congregation established Kadima and United Synagogue Youth chapters and collaborated in creating a countywide Hebrew high school. Through the 1980s and into the 1990s and beyond adult education expanded as well. In addition to courses examining classic Jewish texts, exploring Jewish history, and applying traditional ethics in modern circumstances, there was an emphasis on acquisition of synagogue skills and Hebrew literacy. In 1987, a dozen adults became b’nai/b’not mitzvah. This practical side of Jewish education, in the Hebrew school and in adult ed, ensured that congregants could comfortably participate in and even lead prayers or read Torah, Haftarah, and the Megilot. In 1991, the congregation celebrated its 100 anniversary with a yearlong series of events, and a Second Century Fund was established. Membership had hit a peak of 240 member units, with 120 children in the Hebrew school in the late 1980s, but the congregation is not immune to the impact of social, economic, and demographic trends. Synagogue affiliation dropped among Conservative Jews, nationally and locally. As Rockland County became more desirable and real estate prices soared generally, singles, young couples, and young families found it more and more challenging to establish homes in this area. Many older, longtime members retired to milder climates. Although school enrollment dropped to levels seen in the early part of the 20th century, the congregation turned lemons into lemonade by recasting it as an intimate, “boutique” Hebrew school, responsive to the educational needs of its students, and the school began to grow. Today, it includes the only special needs Hebrew school program in Rockland County. Entering the 21st century, the congregation readdressed the original vision for the synagogue building and undertook to finally add on that long-delayed school wing. Based in part on congregational input as to what members wanted from their synagogue, the design included a major renovation to the social hall, a larger, updated kitchen, and a community room that could also function as a chapel, in addition to modern, airy classrooms to better accommodate the school. The new building was dedicated in December 2011. In 2014, Rabbi Ariel Russo became our first female spiritual leader. Under her leadership, and in partnership with the CSI hazzan and the educational director, our Hebrew school has grown and its students have thrived. Rabbi Russo attends to the pastoral needs of the congregation with an eye towards the future of our kehillah. She has brought thoughtful and innovative programming, meaningful services and sermons, and introduced avenues for diverse social action opportunities, while supporting the growing diversity of our congregation and fostering bonds with the larger community.